The 2012 Supreme Champion of the British Pie Awards is Dunkleys of Wellingborough, Northants, with its Chicken, Ham, Mushroom, Buttered Leeks & Suet Pastry Pie. 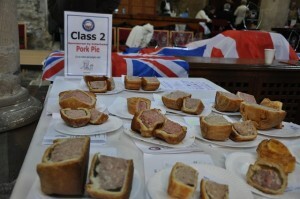 Best Melton Mowbray Pork Pie went to Walker & Son of Leicester. 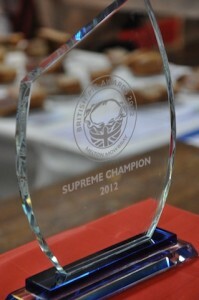 Special Small Producer Award was bagged by Morecambe Football Club, last year’s Supreme Champion. 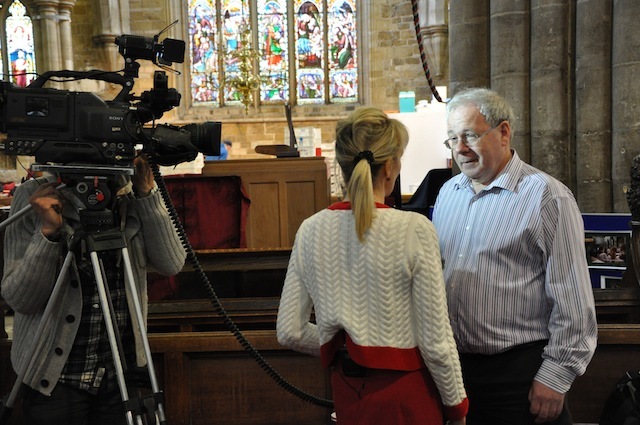 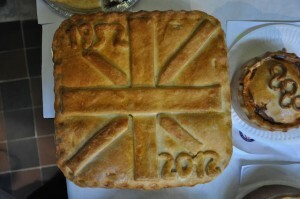 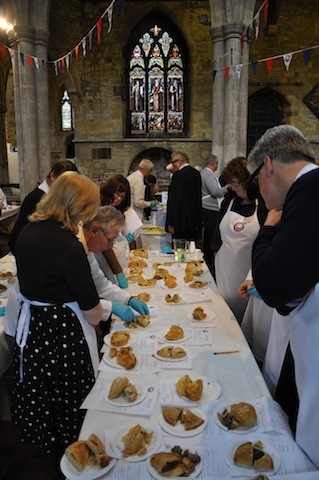 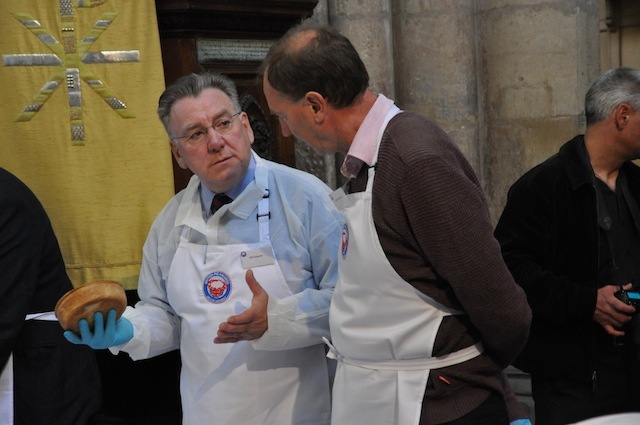 As usual, the British Pie Awards, organised by the Melton Mowbray Pork Pie Association and held on April 25 in St Mary’s Church, Melton Mowbray, was a great occasion that this year attracted over 900 entries (up 300 year on year). 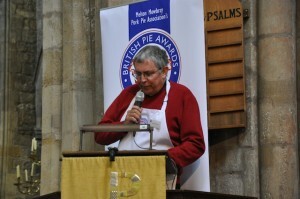 Next year, the organisers expect to smash the 1000 mark. Judges included Telegraph food writer Xanthe Clay, The Evening Standard’s Charles Campion, Test Match Special commentator Jonathan Agnew, and TV chefs Phil Vickery and Rachel Green. 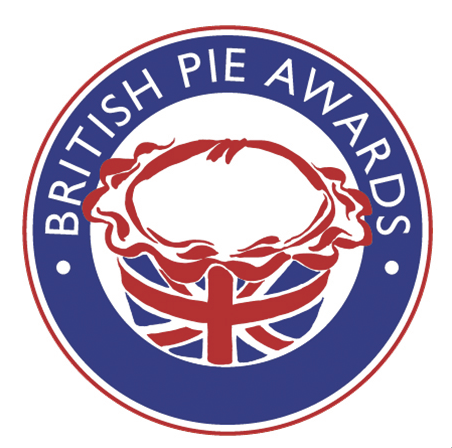 Click here for a full list of results. St Mary’s Church vicar Rev Kevin Ashby blesses the pies pre-judging!